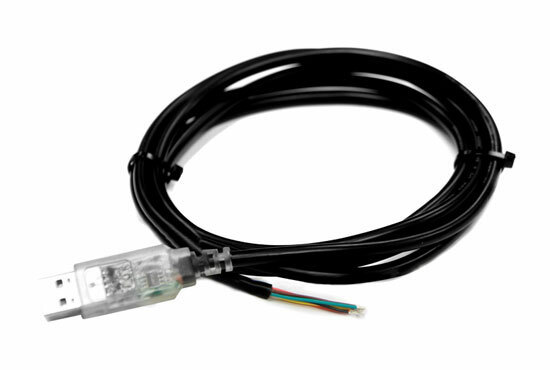 This cable provides a 2-wire USB to RS485 port. The ends are bare cables for connection onto the terminals of the RS485 communications equipment. The USB cable has Rx and Tx LEDs in the USB plug to give a visual indication of data transfer across the cable. Note: The RS485 port must be isolated if cables are exiting the cubicle.